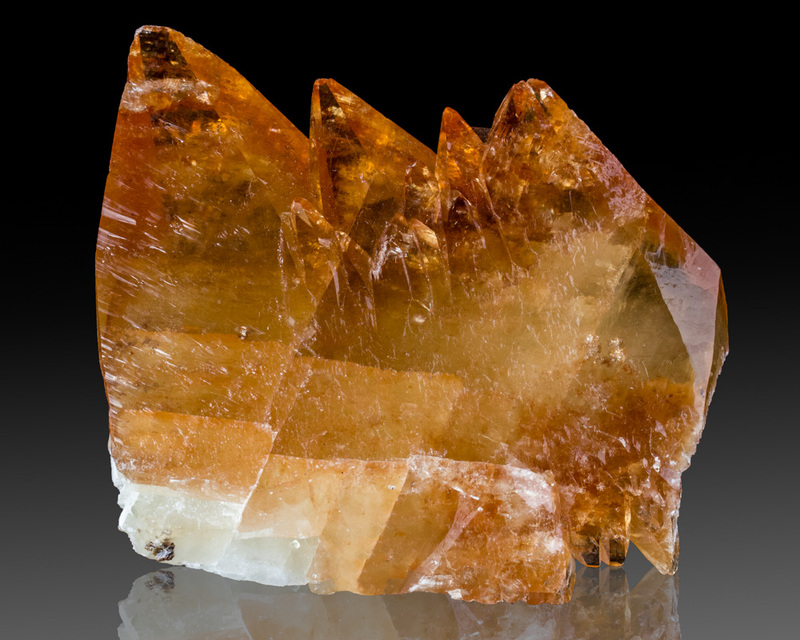 The zinc mines around Carthage, Tennessee have been famous for many decades for producing superb examples of calcite, fluorite, sphalerite and barite. Very large, exceptionally sharp and sometimes gemmy calcite crystals and clusters were fairly common. These often featured sharp single and multiple terminations, and came in colors ranging from gold to orange, and sometimes sporting red-orange tips. 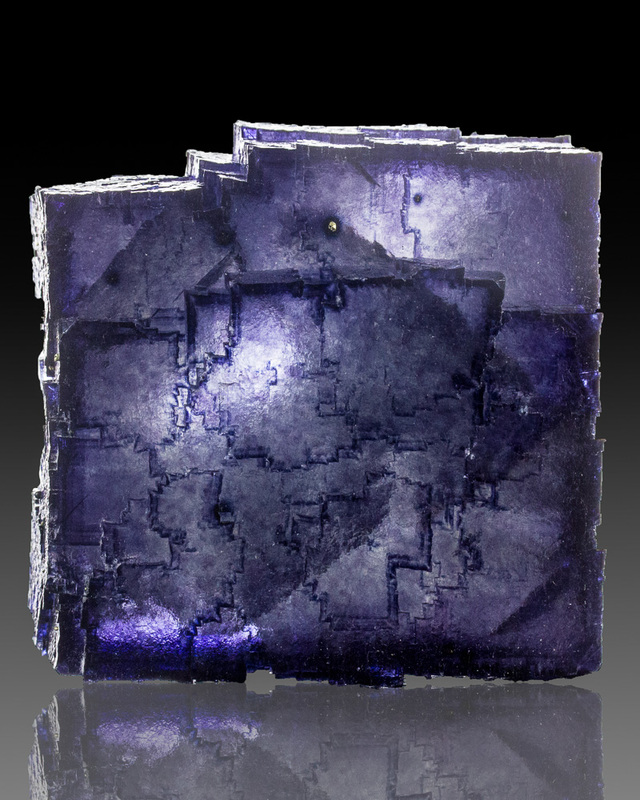 Well-formed fluorite crystals were less common, but usually available in transparent to translucent blues and purples and all shades in between. 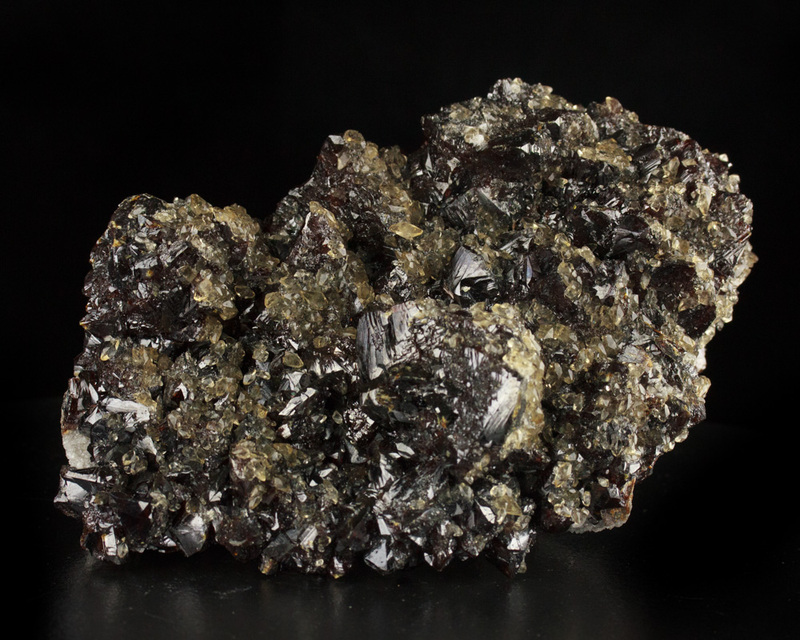 Plates of black to brown sphalerite crystals, sometimes tined red, were customary, typically with brilliant luster. Last but not least, large hemispheres of ivory colored barite were often found perched on the sphalerite matrix pieces. The quality of these specimens had long ago established these zinc mines as an American classic locality, and exemplary specimens were often featured in displays at the big mineral shows. And then, in 2004, the mines closed and the source dried up. In 2008, a Belgian mining company named Nyrstar established NTM and began work to reopen the mines, performing extensive work to upgrade ventilation in the mines to meet new MSHA standards. They began hoisting ore again from the Elmwood, Gordonsville and Cumberland mines in November, 2010. The steady supply of specimens in the past was in part due to the policy that miners were allowed to bring out pieces in their lunch coolers (some had wheels and a handle and were as large as 72 quarts!). In addition, in 1988, the mine assigned a special crew to collect specimens. Whenever enough material had been collected (often every six months or a year), dealers were invited to bid on this material in a silent auction. More recently, the mining company signed contracts with specimen miners such as Stan Esbenshade of Midwest Minerals, allowing them to enter the mine and collect specimens whenever it was safe to do so. However, due to insurance and legal restrictions, the owners have been enforcing a policy that strictly prohibits specimen collecting. 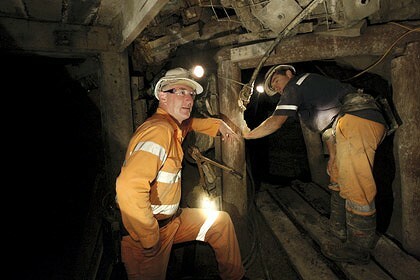 In recent years, there has been a crackdown on miners who are discovered trying to bring out specimens (those who have been caught recently were reportedly fired). Even before the mine closed in 2010, management began taking countermeasures to prevent illicit mining. These included both putting slurry in the vug holes and blasting pockets to destroy the specimens. One miner who observed several of these pockets first hand said that some vugs probably held up to half a million dollars worth of specimens. The company supposedly began blasting pockets after they discovered that some employees were spending more time collecting specimens than working. Also, under federal mining law, the company would be held liable if anyone was hurt or killed while collecting. In addition, insurance companies threatened to raise premiums or cancel policies if unsafe and illegal collecting by workers was tolerated. They demanded that the company take active measures to prevent collecting. Of course the economics of zinc mining is why the mines were reopened, and collecting mineral specimens had nothing to do with it. Regrettably, because good specimens in these mines are only found in zones with the highest grade of zinc ore, recovering specimens typically disrupts mining activities. Rock Currier summed this situation up nicely: "I hate to see good specimens blasted into gravel, as much as the next guy, but if it were not for the mining companies mining things, many fewer specimens would be available to us." To offset the loss of specimens, it has been reported that the company is planning to establish a program to give specimens to local schools and museums. Another proposal would auction off mineral specimens and donate the money to be used in community projects. To date, these apparently remain ideas only, and no action has been taken. In spite of the company's best efforts, a few boxes of what appeared to be new material appeared at the East Coast Gem, Rock & Mineral Show in August, 2013. The dealer who had the "new" specimens would neither confirm nor deny that the specimens were indeed new. Then in Tucson in 2014, the floodgates had obviously opened, and quantities of superb, undamaged pieces of calcite, fluorite, sphalerite and barite were displayed in many dealers' warehouses and showrooms. The story I heard was that a group of ingenious miners who knew how to collect top notch, undamaged specimens had stockpiled material in a remote, unused underground tunnel. They reportedly bribed a weekend shift supervisor to let them drive a truck into the mine, and emerged unobserved with a plethora of fine specimens. Where there is a will (and money to be made), a way will be found. No matter how it happened, it has been exciting to have more of the gorgeous stuff from Elmwood back on the shelves. Since 2009, the price of zinc has almost doubled, and is up 12.4% in the last year. This suggests that mining will probably continue, and perhaps the mining company will find a way to salvage these extraordinary specimens and sell them on the mineral market. So, there is at least a chance that more new specimens will appear on the market. I am keeping my fingers crossed! What Has Caused the Dramatic Increase in Peruvian Pyrite Prices? Red Lead Crocoite Mine Reopened!